Samsung is showing off two new Wi-Fi only Android based smartphones at the Mobile World Congress. 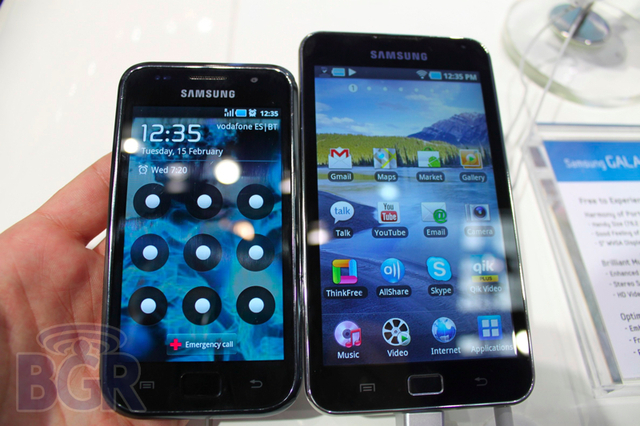 .Both the devices are based on the Galaxy S smartphone and are having 4” and 5” displays. Samsung aims to mimic the iPod success with these Wi-Fi based Galaxy S models. Both the devices run on a 1GHz Hummingbird processor and have front facing VGA cameras, microSD slots, Bluetooth and Wi-Fi. They run on Android 2.2 (Froyo). It is unclear over the size of the onboard flash storage drive. No pricing information was given out but it was reported that Samsung would price it cheaper and competitively than the iPod.